Efforts to boost coal export infrastructure in the US Pacific Northwest are running into fierce opposition. In April plans for a bulk export facility at Coos Bay in Oregon with a 10 million tonnes per year capacity representing $432 million in investments was scrapped. The Coos Bay terminal was one of six projects in Washington and Oregon with a combined investment totaling over $2 billion to boost coal exports – primarily from the Powder River Basin in Wyoming – to lucrative markets in Asia. Coos Bay was the second such project to fall by the wayside – in August last year RailAmerica scrapped plans to build a 5.5 million tonne terminal in Hoquiam, Washington. Gateway Pacific Terminal (GPT) at Cherry Point near Bellingham just south of the Canadian border is by far the largest of the remaining four projects with a 48 million tonne coal capacity and another 8 million tonnes of grain or potash. The state review, to be conducted over the course of the next two years, will be far broader than the more traditional federal environmental review being conducted by the U.S. Army Corps of Engineers. [The Washington state Department of] Ecology announced that the “scope” of its review would include the carbon-dioxide impact when coal shipped from Washington is burned in other nations. 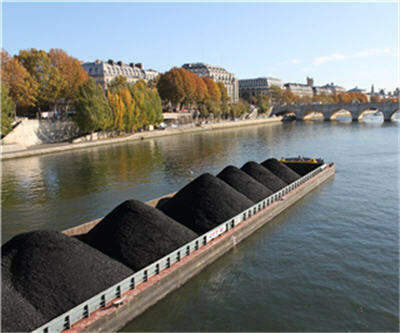 It also will analyze the impact of the coal trains carrying the coal from Montana and Wyoming, and the impact of the additional shipping on international waters. At the time, Ecology didn’t say was exactly how it planned to go about it – or precisely what differentiates coal shipping from any other industrial enterprise in the state of Washington. But there are plenty who think Washington already has its conclusion in mind – given the fact that green-minded Gov. Jay Inslee is on record against the proposals, calling them the “largest decision we will be making as a state from a carbon-pollution standpoint, certainly during my lifetime.” With Oregon Gov. John Kitzhaber, Inslee has urged the Obama Administration to adopt a policy blocking coal exports from federal lands. Continue reading at Washington State Wire.